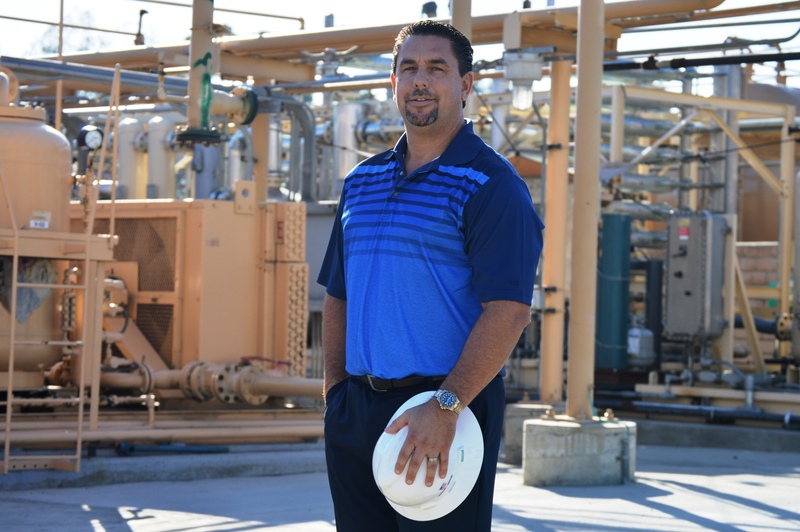 Signal Hill, California (October 11, 2017) – Signal Hill Petroleum, Inc. (SHP), a privately-owned energy company, proudly announced Sean McDaniel, Vice President of Production and Operations received the Oilman of Year award. Due to his multi-faceted role, expertise and contributions to the industry, Mr. McDaniel was selected to be the 2017 Oilman of the Year. This award is presented by the Oilman of the Year association, and has been giving this honor to industry legends for over the last 37 years. The Oilman of the Year association hosts an annual golf tournament in which the funds and proceeds are given to the R.M. Pyles Boys Camp and the Make a Wish Foundation. Immediately following the golf tournament, participants gather for the award ceremony. The awardees and guest are not knowledgeable of the winner until the announcement is made. The award winner is someone who has contributed significantly to the California Oil and Gas industry over an extended amount of time. With over 25 years of experience, Mr. McDaniel has a wealth of firsthand knowledge about the oil and gas industry. Mr. McDaniel has experience with virtually every job possible in the field and worked his way up to his current role as the Vice President of Production and Operations. In 2004, Mr. McDaniel oversaw the design, building and construction of a cutting-edge, emissions control electrical turbine generator for the company as the project manager. Signal Hill Petroleum was one of the first petroleum companies to implement this technology, which produces the cleanest electricity in the country. In addition to all the years and contributions Mr. McDaniel has made to the industry, one of the biggest reasons he received this award was due to his character, leadership, and the respect he has gained from everyone he has come in contact with. “I have always wanted to earn this award. It is a lifetime achievement award. It is such an honor to be recognized by your peers, colleagues and industry vendors and partners.”, stated by Mr. McDaniel when asked about the award. SHP is incredible proud to have Sean McDaniel as not only a member of the team, but more importantly as a leader of the company. This award is a great way to recognize Mr. McDaniel for all the hard work and positive contributions he has made over the years. Congratulations on the well-deserved award. Signal Hill Petroleum is a privately owned California-based energy company that specializes in the exploration and production of crude oil and natural gas in urban areas. With a set of core values rooted in a transparent business philosophy, honest approach, and concern for the environment, the company strives to be an excellent neighbor and community partner. The company’s website (www.shpi.net) contains more information.